A First Time Home Buyer seminar. 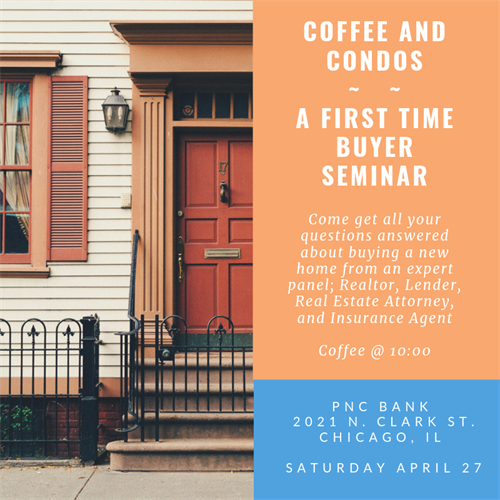 Come have a very laid back discussion and Q/A with a Realtor, Real Estate Attorney, Mortgage Lender and Home Insurance Agent, who will answer all your questions about the home buying process, what their individual jobs are throughout the process and more! !